I’ll be honest here. 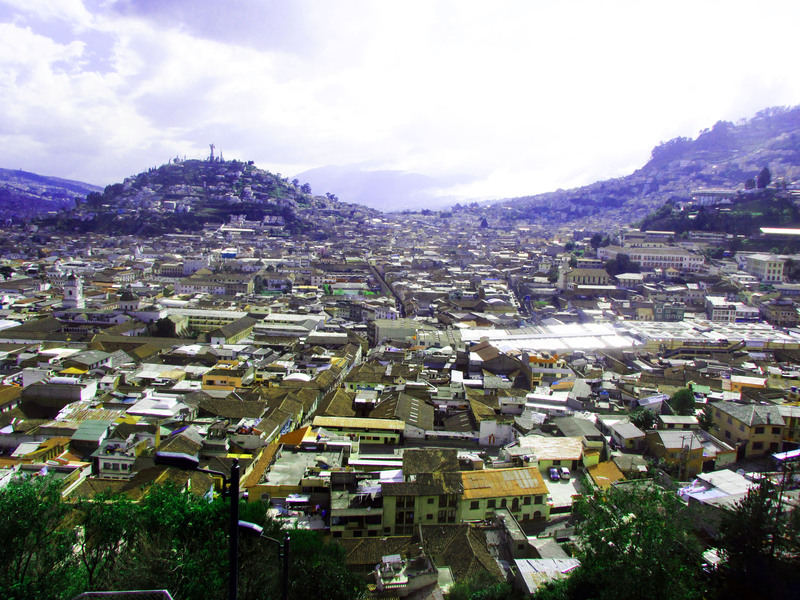 I didn’t like Quito all that much (see this post if you’re wondering why.) However, there are still some cool things to do in the city and for that reason I thought I’d list my top 5 here today. Hopefully if you ever visit Quito you’ll find this post useful. 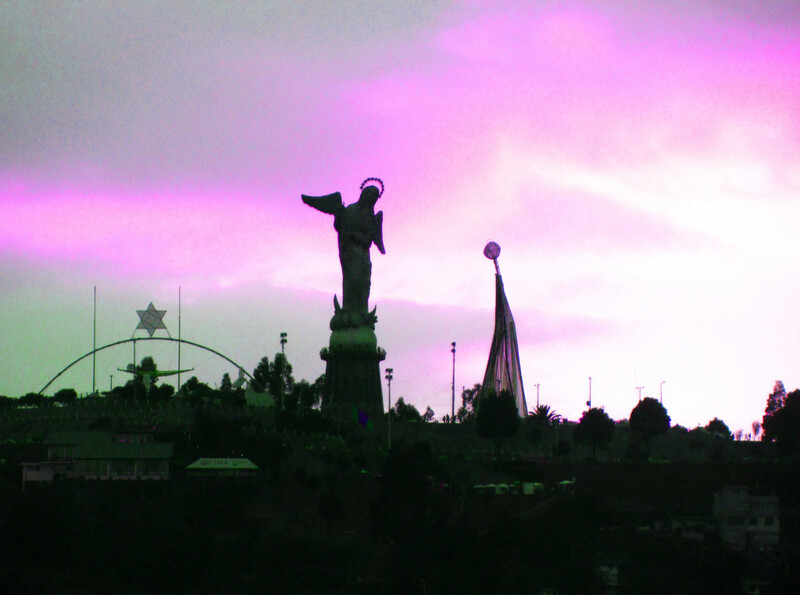 This is by far the main attraction in Quito and the most famous thing to do in the city. It will take you around an hour and a half on buses to get there from Quito city centre (although should only cost you around 45 cents on the bus for 1 person), and it is very touristy, but I suppose it is cool to get your photo by the line and say you’ve been there. 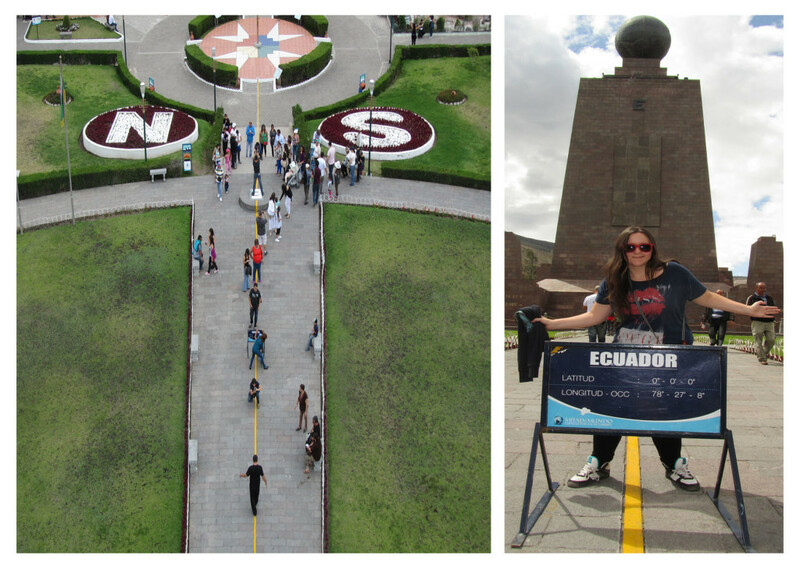 Entry to the Mitad del Mundo (centre of the world) is also very cheap at just $2. Just be aware that there is debate over whether indeed it is the real equator line or not. As I mentioned in this article, since GPS has been invented many have said that the real equator line is in fact situated around 260 metres away from where it was originally marked at the Mitad del Mundo. To view the other line you need to pop around the corner to the Intinan Museum where inside is supposedly the real line and also some magnetic experiments you can participate in. The Teleferico, or cable cart in Quito is another major attraction in the city and one of the better things to do. The main reason simply being for the views of the city and also because it allows you to get closer to the volcano. Again though, it is very touristy. That is the only downside. The cable cart is built on the outskirts of the Pinchincha area and the summit of Cruz Loma and spans over an area of 160 hectares. The Teleferico reaches a height of over 4000 metres at its summit on Crus Loma. Quito’s old town has been a UNESCO World Heritage Site since 1978, and justifiably so. Colonial buildings such as the Palacio Presidencial, Palacio Gobierno, and the Monastery of San Francisco are all major highlights. Quito’s greatest asset as a city for me is the abundance of natural beauty that surrounds it, and Cotopaxi National Park is one prime example of that. If you’re into hiking this is the place to go in Quito. You’ll find many tour operators in the city offering day trips to Cotopaxi, but if you’re a keen hiker you’ll want more time than that as 1 day is not enough to hike to the summit of the volcano here. If you’re in Quito on a Saturday then it’s highly recommended that you take a trip out to Otavalo for the market. Aside from being incredibly atmospheric, there’s also a lot to do in nearby Otavalo such as visiting Cuicocha Lake, Peguche Waterfall, and Condor Park. – So these are my top 5 things to do in Quito! If you’re ever travelling in Quito and don’t have a lot of time to decide what to do then hopefully this list helps you select the best activities! This will be useful when I go to Quito! Thanks!